The provision of hearing aids is a vital step in the help that can be offered to deaf people. 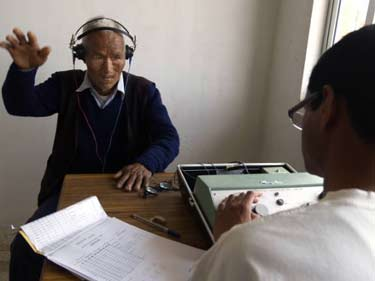 With the significant co-operation of Adam Shulberg (Cubex UK) BRINOS now operates a hearing aid programme covering the area serviced by the Primary Ear Care Programme (BEHCS) around Nepalgunj in western Nepal. 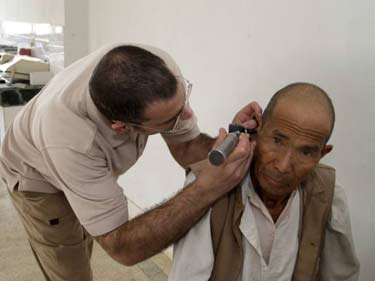 Operating a sustainable hearing aid service in developing countries presents many difficulties. Hearing aids are sophisticated electrical devices, which require modern batteries and occasional maintenance. Each hearing aid has to be fitted individually, with construction of a well fitting ear mould, and selection of the appropriate aid for the patient’s deafness. By training the Primary Ear Care workers in hearing aid fitting and maintenance BRINOS, in co-operation with Cubex UK, has established a fully sustainable hearing aid service.